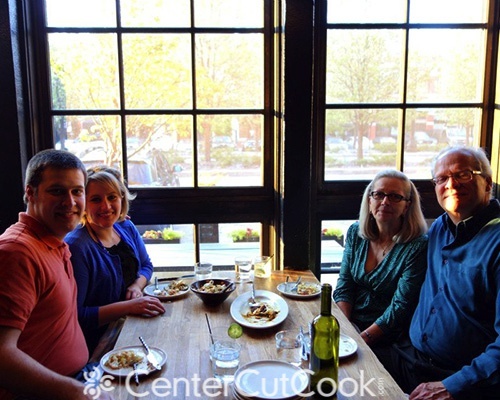 Saturday’s Something: This week I’ll be talking about our experience at Girl and the Goat and offer some beginner photography tips! Welcome to Saturday’s Something, my time to take a step away from delicious food and recipes to talk about anything my little heart desires. This week, I’ll be telling you all about our experience at a Chicago-area hotspot, Girl and the Goat, and give a few pointers for any newby photographers out there! Speaking of Chicago… Last week we finally made it to Chicago’s infamous Girl and the Goat restaurant. When I say “finally” it’s due to the fact that it takes 3 months to get a reservation for a weekend at a normal time. I just can’t do dinner at 11pm which is what we could’ve had like two months ago. This place is a hot spot! And for good reason! It’s owned by Stephanie Izard who I’m in love with. Like for real. If she called me up and said “hey Ashley, want to come hang out in my kitchen?”, I’d so be there. This girl has got mad skillz, man. The menu at Girl and the Goat looks a little… intimidating. But, our (way awesome, knowledgeable) server guided us through and helped us pick out a bunch of small plates for our group of four to share and every single gosh darn thing we tried was good. Some things stood out more than others, like the green beans with fish sauce vinaigrette and cashews and the roasted cauliflower with pickled peppers, pine nuts and mint. Wow. I am NOT a vegetarian, but I could easily become one if I could have green beans and cauliflower the way The Goat does ’em. And for the first time, I tried goat. To me, it tasted like beef, but now I can check “eat goat” off the foodie bucket list (I don’t really have a foodie bucket list, but we’ll pretend I do). When I think about some of the best dining experiences I’ve ever had, this ranks pretty high up there. The combination of flavors that each dish offered was just out of this world. Some of the combinations sound a little weird, but together, I’m telling you, every bite was a little piece of heaven. If you ever make it to Chicago, seriously, go to Girl and the Goat. 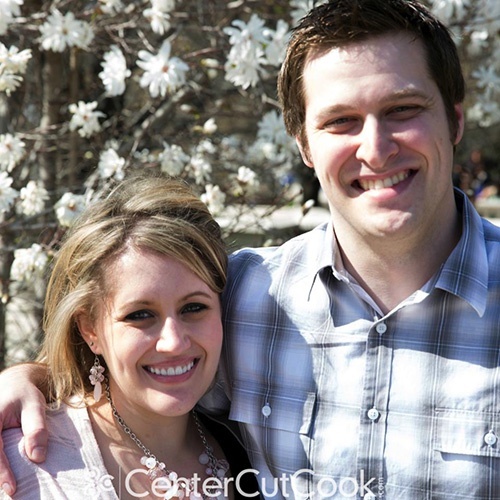 When I started CenterCutCook, I was beyond intimidated of our DSLR Camera. I had used it plenty of times, but always in auto mode, and I never really knew what I was doing. Having a blog that focused on food and food photography forced me to figure out what the heck I was doing. And now? And now I love photography. There’s still a pretty steep learning curve for me, but photography is definitely a new hobby that I’m digging. I’m the most comfortable photographing food, since I do it every day, but I am in love with infant and toddler photography. One of my friends was nice enough to let me use her daughter as a test subject. I plopped her in front of my north facing sliding glass door, put a piece of white foam board behind her, and the result is what you see above. It is one of my most favorite pictures I have ever taken! And I loved that the image required zero post-processing. I didn’t edit a single thing with this image. 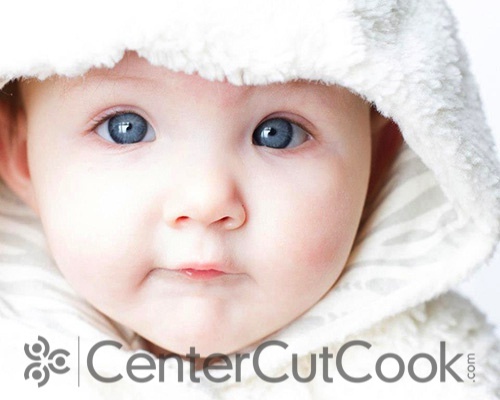 Beautiful little girl + perfect lighting = one happy photographer. 1. If you have a DSLR camera, learn how to shoot in manual mode. For far too long I just kept it on auto mode. A DSLR is a powerful piece of equipment that is far more useful when you know how to use it. I just started playing around with the settings until I learned the relationship between ISO, aperture and shutter speed. I also spent a good amount of time perusing the Internet for tips and pointers and found plenty of them! 2. Good lighting is key. I look at light in a completely new way now that I consider myself a photographer. When I enter a room, I pay attention to the areas where there’s the best light. If you don’t have a good light source, your picture is probably not going to turn out that good. 3. Take lots of photos! I usually end up with 100 or more for a short little 20 minute photo session. Some turn out awful, but there are always a few shining stars in the bunch. The other advantage of taking lots of photos, whether it be of the same subject or something different every day, is that it helps you learn. This Photography Cheat Sheet helped me understand exposure, aperture, shutter speed, and ISO, and is worth checking out! Any newby photographers out there or wanna-be photographers? This is another picture I took of my sweet little nephew in the same location as the photo above – right in front of my north facing sliding glass door with just a piece of white foam board behind him. This little guy has been through a lot in his one and a half years! He had a stroke in utero or shortly after he was born, and as a result, he has some type of therapy every. single. day. Despite all he’s been through, he still knows how to make everyone around him smile. 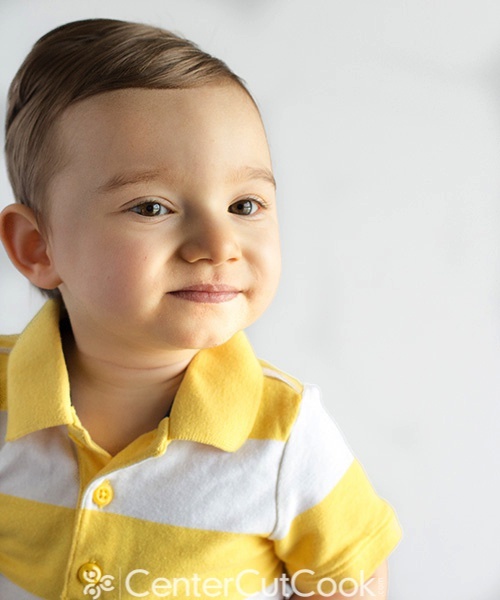 He is such a sweet, sweet little boy and I’ve had so much fun photographing him.